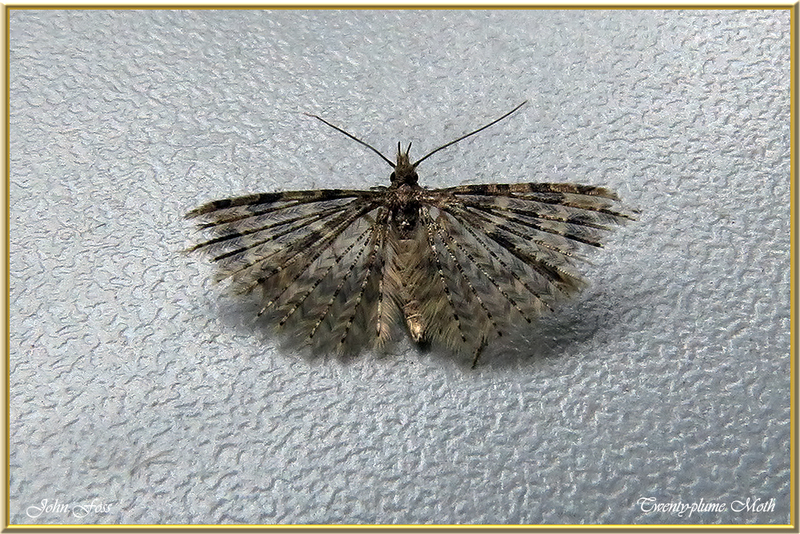 Twenty-plume Moth - This attractive little moth has a wingspan of only 14-16 mm. 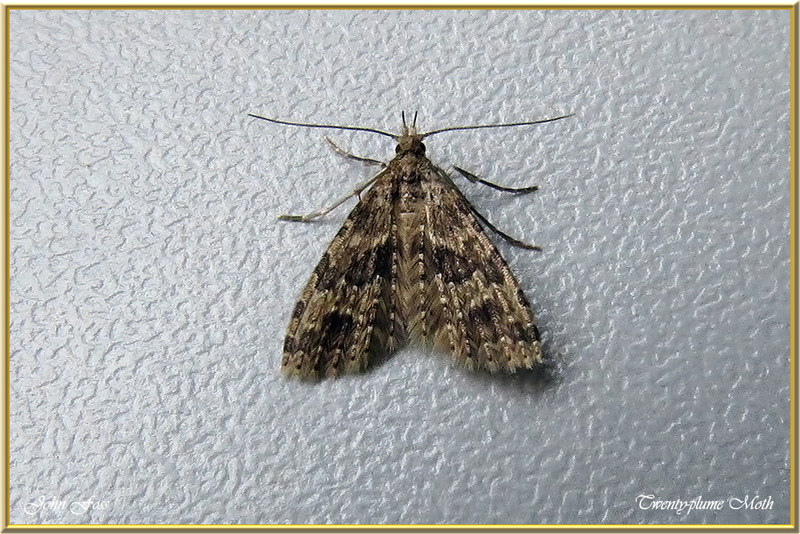 It can be found flying most of the year in an adult stage, but is more common between April and May and then in August to September. 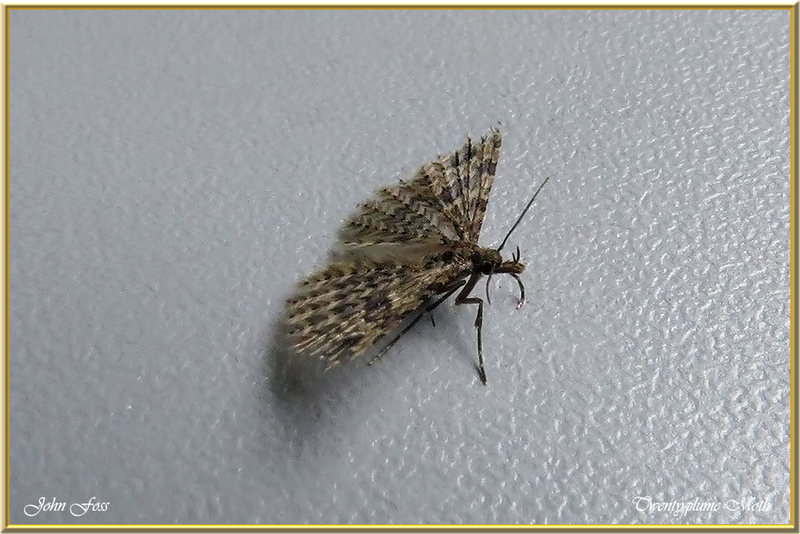 It is night flying and attracted to light. One of the main larva foodplants is honeysuckle. Photographed in Co. Leitrim.